DBL Group Job Circular 2019 Has published by the DBL Group authority. 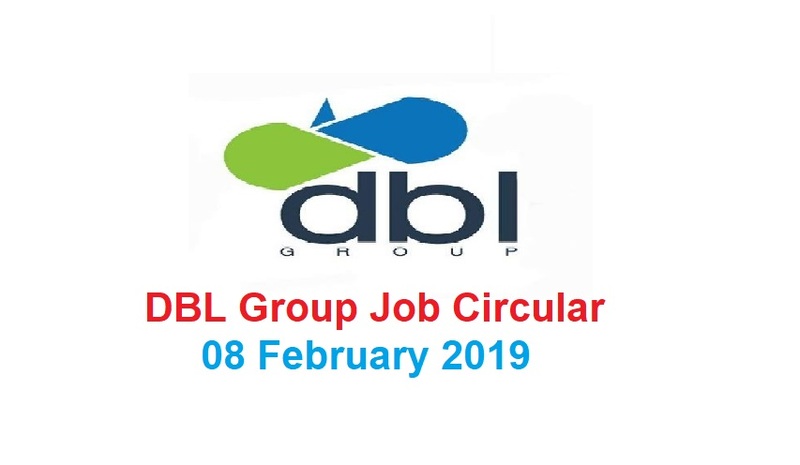 Driver’s appointment notice has been published in the DBL Group. Eighth-grade candidates can apply for the post. Candidate must have 7 to 8 years’ driving experience. Candidates will have direct interviews till Friday and February 20 except public holidays. 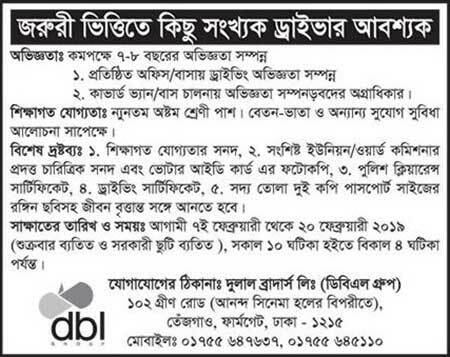 For applying Dulal Brothers Ltd (DBL Group), an interested candidate has to submit the certificate of the educational qualification, the respective Union / Ward commissioner’s Character Certificates and Photocopy of the Voter ID card, Police Clearance Certificate, Driving Certificate, two recent passport size coloured photographs and biography. Submission Address: 102 Green Road (opposite Ananda Cinema Hall), Teenage, Farmgate, Dhaka – 1215.